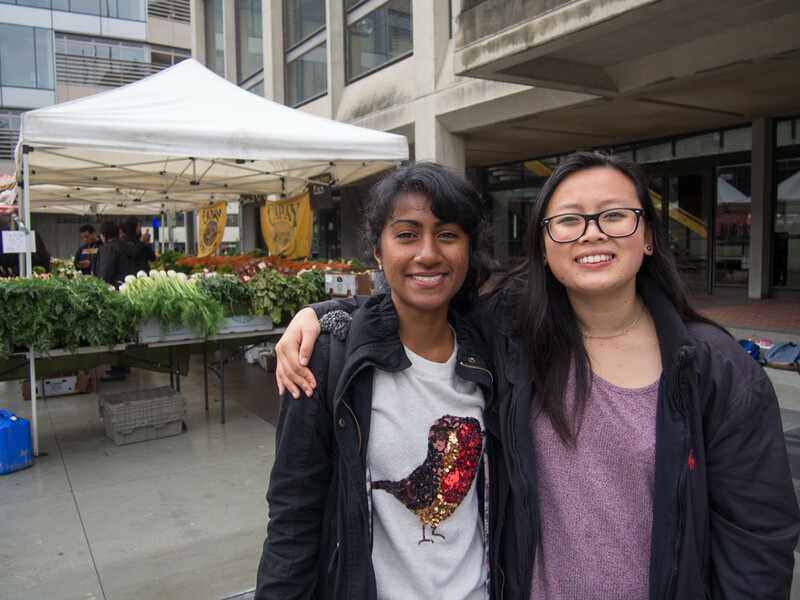 On March 9, 2016, from 10 am to 3 pm, Offices of ASUC Senators André Luu and Alicia Lau partnered with local food businesses to host a farmer’s market for Berkeley students. Although the rainy weather deterred several vendors and caused them to back out last minute, the five who persisted made the market experience extremely worthwhile. In traditional farmer’s market style, the vendors of Capay Organic showed up at 9 am (an hour before the event began at 10) to set up their booth, which was positively bursting with color and mountains of fresh produce. 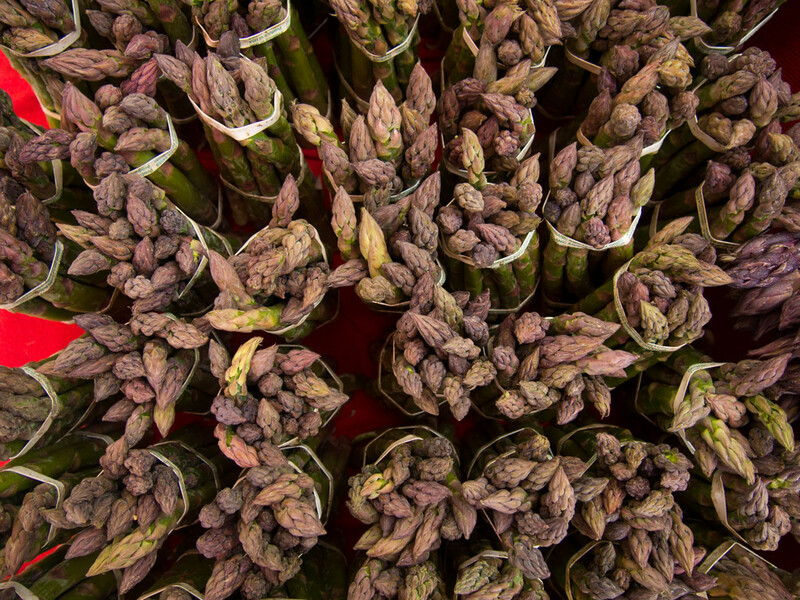 They sold everything from plump, orange cauliflower to bundles of rainbow carrots, and fresh bunches of kale at bargain price. The spread made it difficult to not buy our week’s worth of groceries before class. 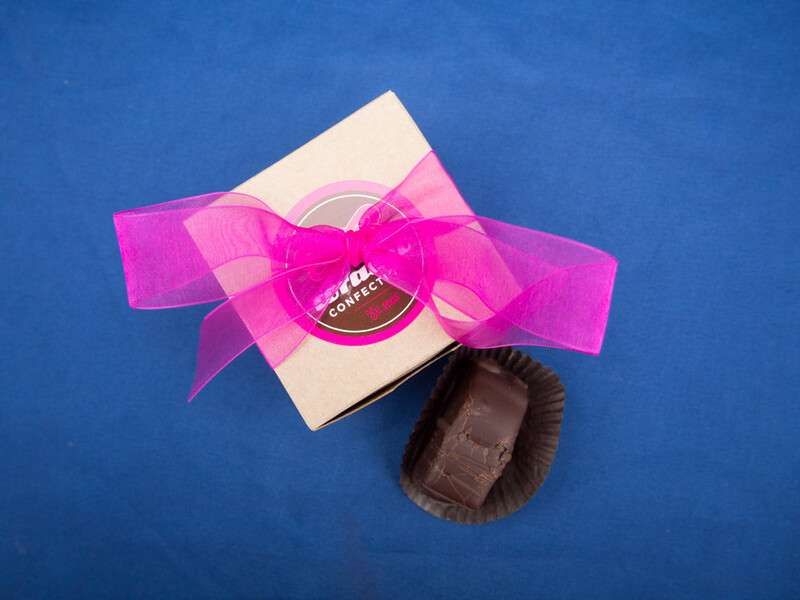 Although the items at Coraco Confections had slightly steep prices for our college student budgets, their genuine cacao-based products were all flavorful and bursting with positive health benefits, satisfying both our sweet tooth and inner health nut. 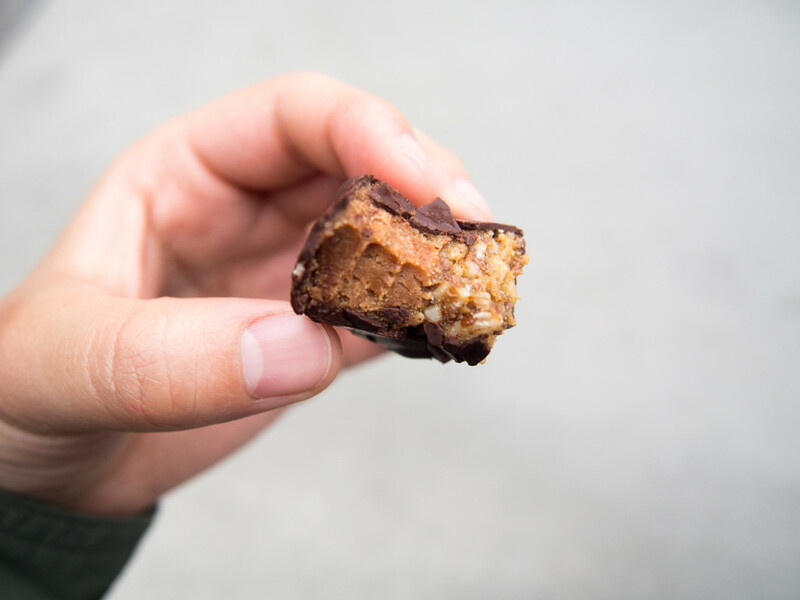 Their chocolates are rich and dense — perhaps better suited for the dark chocolate fanatic — but were a perfect pick-me-up indulgence on this particular Wednesday morning. We didn’t realize how much we’d missed fried fair food until we wandered past the colorful tent of Endless Summer Sweets. 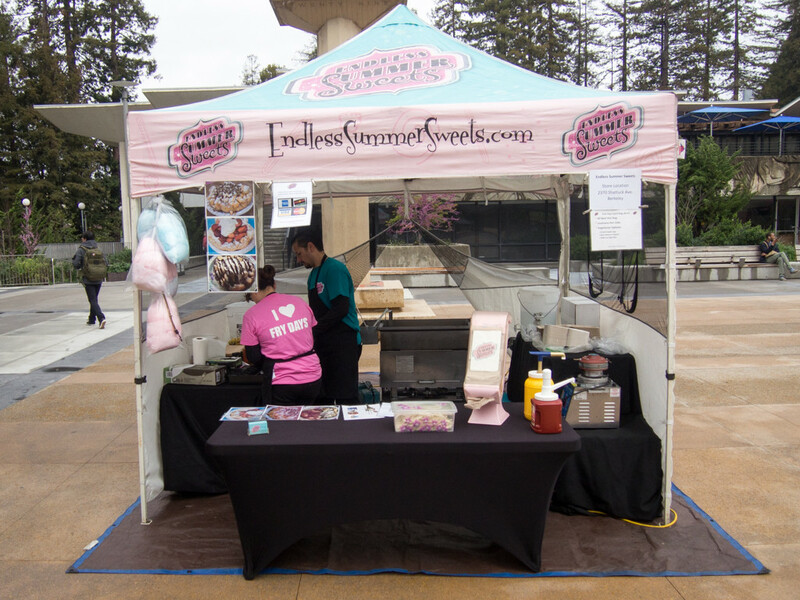 This booth offered all the traditional fair favorites, like funnel cakes, corn dogs, and cotton candy. 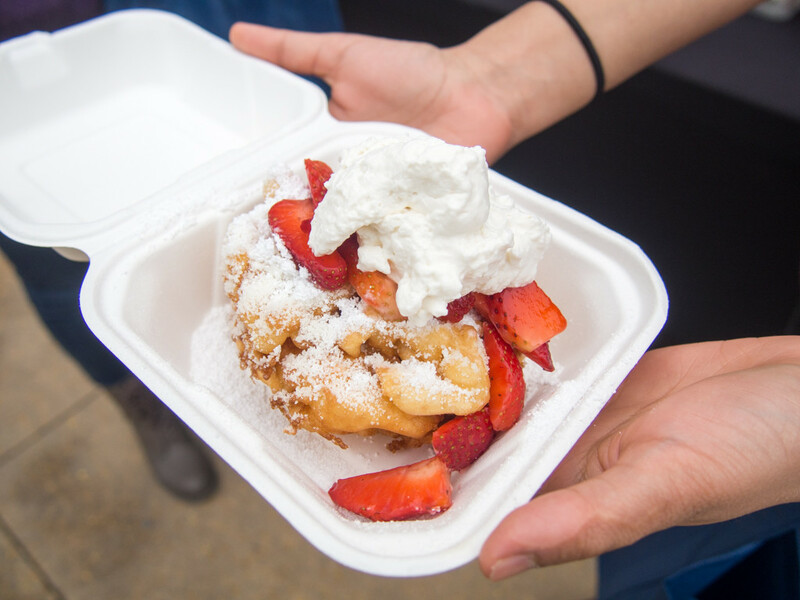 We stopped by before the market got too busy, and only our inner three-year-old could convince us that buying a funnel cake before lunch was a good idea. But since we’re college students, funnel cake before lunch is always a good idea. Though their booth was small, Tofu Yu’s stand was not lacking in variety. Their fusion products substituted traditional protein sources with tofu and appeal to a wide variety of tastes. 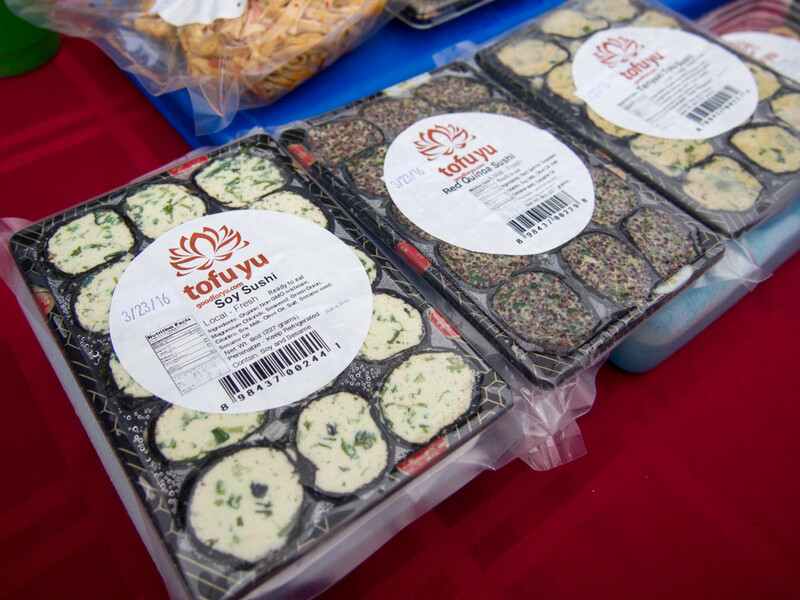 From Spicy Veggie Wraps to Red Quinoa Sushi Rolls, all of Tofu Yu’s fresh products promised large flavors in small packages. 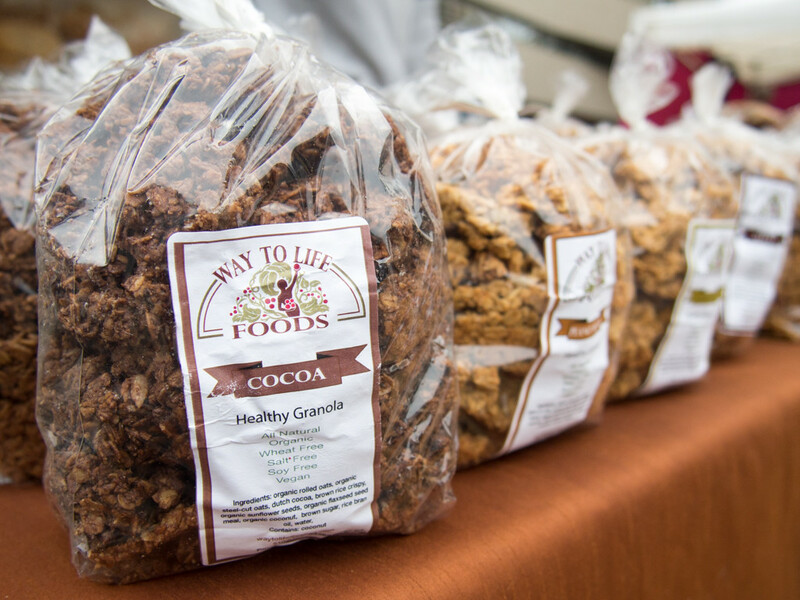 The healthy granola and vegan pastry spread at Way to Life Foods was perhaps only outshone by its cheerful vendor who chatted with all of his customers. 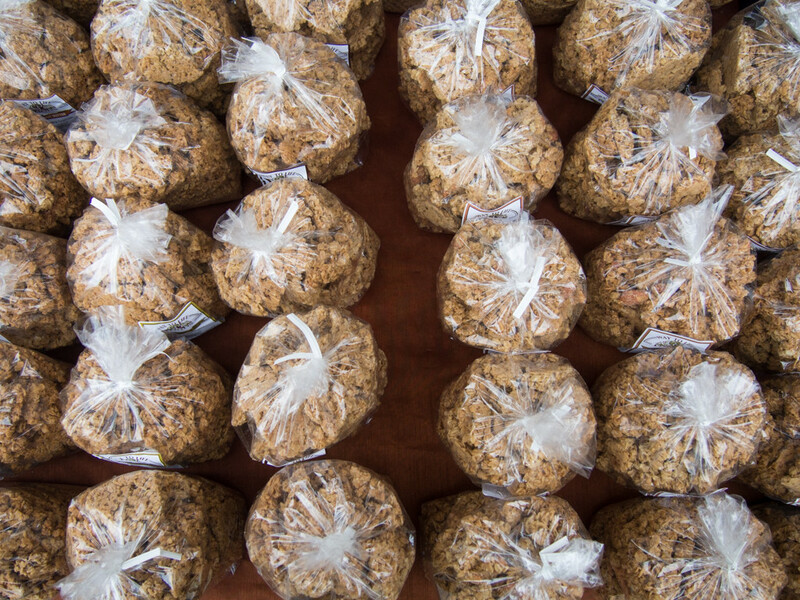 Everyone was invited to a free sample, or seven, of his healthy granola choices including bestseller Vanilla Almond and its close runner-up, Cocoa (“It tastes like Cocoa Puffs, but without all the preservatives.”). 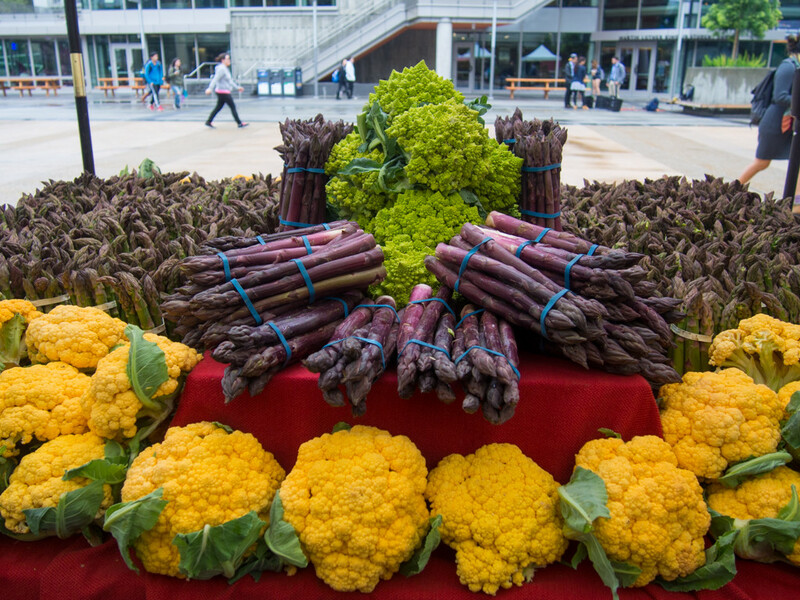 Although the ASUC Farmer’s Market was small, its offerings still provided us many reasons to be happy on this overcast March day. As Berkeley’s resident foodies, we enjoyed the wide variety of fresh, local foods brought right to campus, and even if we failed our midterms today, at least we had delicious food to comfort us afterward.